We don’t often think of them but toilets are an essential part of everyday living. Once a problem occurs with your toilet it is something you need fixed quickly and properly. Lone Star Plumbing’s licensed and experienced Calgary plumbers can handle any toilet repair you may need. Clogged Toilet – Sometimes a plunger won’t get the job done. We can handle severe toilet clogs and get your toilet back in working order. Water Running Non-Stop – A toilet that has a constant flow of running water is not only noisy and annoying it also wastes water and takes a toll on your water bill. Let our plumbers put a stop to the running water. Slow Filling Toilet – Is your toilet not filling like it normally does? Your toilet could have a faulty valve or a problem with another part. Our plumbers will inspect your toilet top to bottom, find the problem and fix it. Toilet will not Flush – If your toilet is not flushing and you don’t know why it could be a number of different causes. Instead of stressing and trying to find out why yourself, let our experienced plumbers diagnose the problem and get your toilet working properly again. Leaky Toilet – A leaky toilet creates a mess no one wants in their bathroom. A worn out wax seal, loose hose or crack could be one of several reasons that are causing your leak. Our Calgary plumbers know what to inspect when a toilet is leaking and can fix it quickly. Lone Star Plumbing’s expert licensed plumbers are the best in Calgary at repairing toilets but sometimes a toilet is beyond repair. In that case you will need to say goodbye to your old toilet and get ready to install a new one. Don’t let installing a new toilet result in a time consuming process that if improperly installed can cause additional plumbing issues. 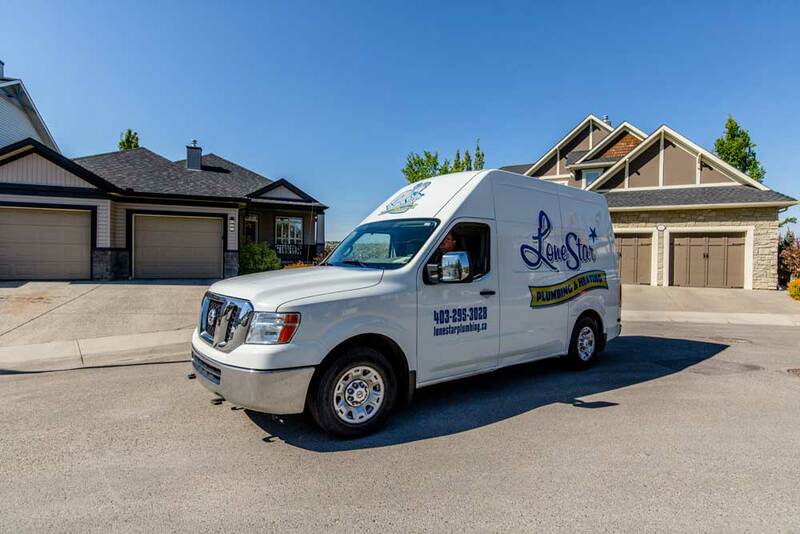 Let our experienced Calgary plumbers get the job done right and quickly so you can get your house back in running order. If you have any questions about toilet repair or installation please do not hesitate to call our Calgary office at 403-295-3028. Our Calgary plumbers are ready to tackle any toilet repair you may need. Your toilet is leaking onto the floor or through the ceiling below. Your toilet is clogging often or clogging too easily. Your toilet bowl won’t fill up after flushing. The toilet can’t be unplugged with a plunger. Your toilet appears to have small cracks or other damage to it.